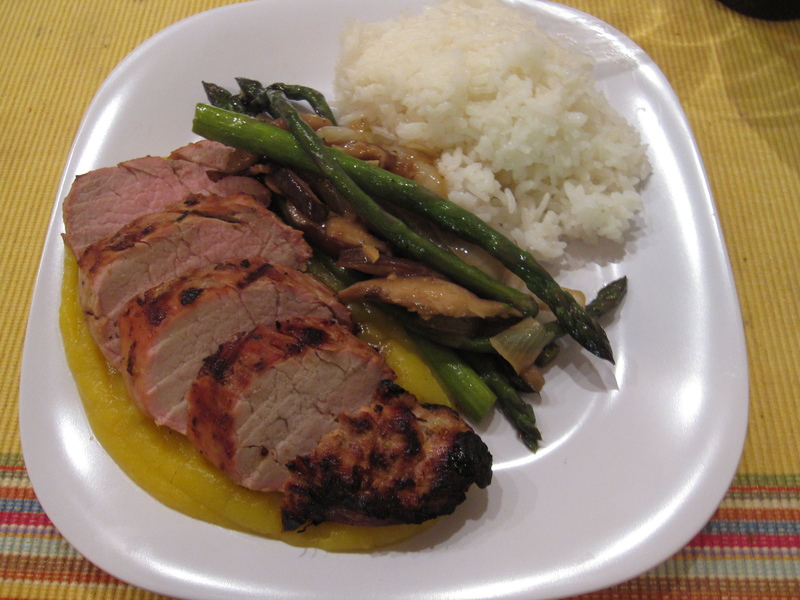 Last night was the perfect night to grill up some juicy pork tenderloin. I’m not one to waste an opportunity like that, especially with a bunch of rain in the near future forecast. 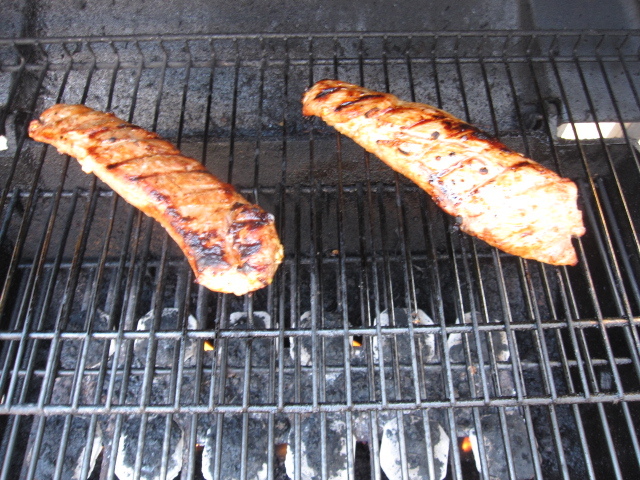 So, that’s exactly what I did, I grilled up some juicy pork tenderloin. 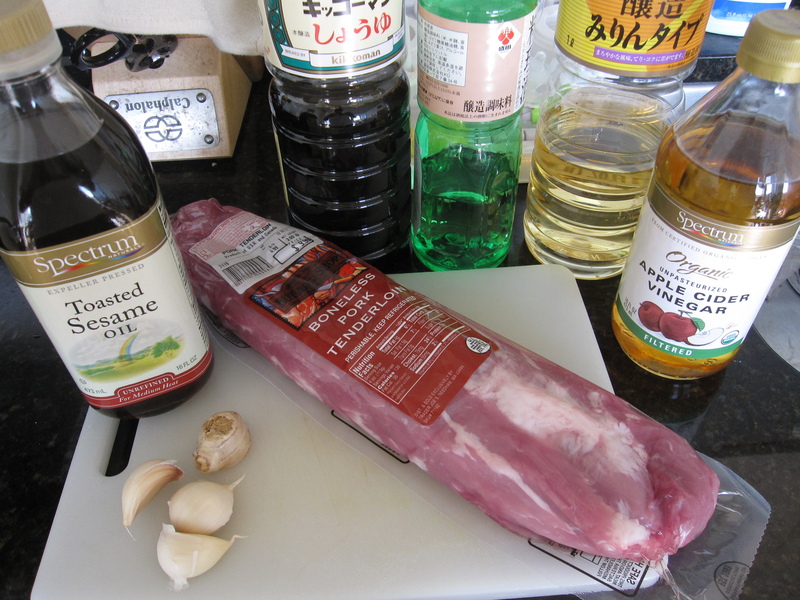 I made a simple marinade using 2 garlic cloves minced, 3 green onions thinly sliced, the juice from 1/2 lemon, 3 tablespoons soy sauce, 2 tablespoons sake, 1 tablespoon mirin, 1 tablespoon sesame oil, and 1.25 pounds of pork tenderloin. Before letting the pork take a dip in the marinade I stabbed it all over with my knife to allow the marinade more easy access to the juicy center. 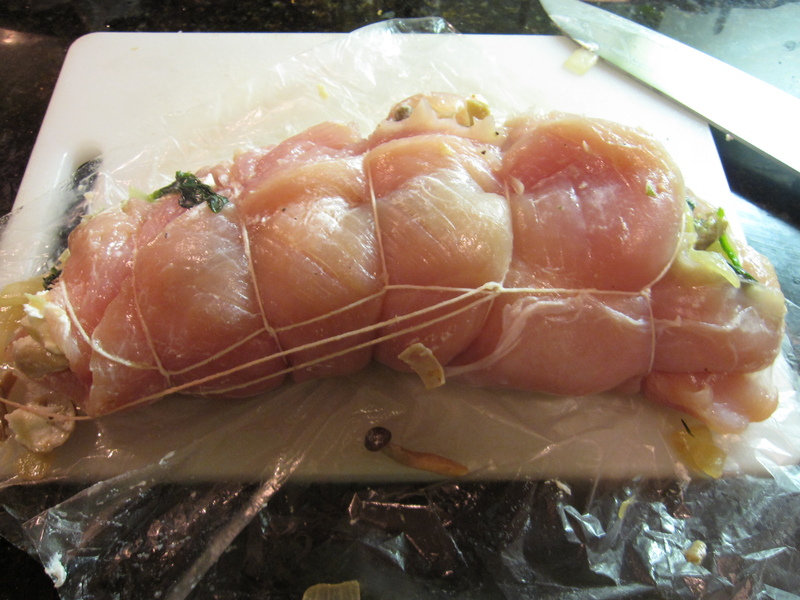 I covered it and let it sit in the fridge for about 2 hours, taking it out about 30 minutes before grilling. 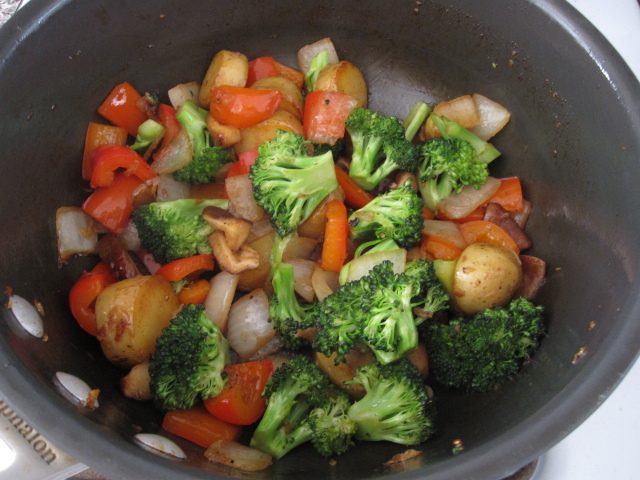 For my veggies I used 1 red bell pepper chopped, 1 clove garlic minced, 1/2 onion chopped, 3 fingerling potatoes chopped, 1 head of broccoli, 5 shiitake chopped, 1 tablespoon butter, and 2 tablespoons soy sauce. I also used the juice from the other half of the lemon, but forgot to get that in the pic. I melted the butter in a hot pan and then fried the potatoes in it for about 10 minutes till they were a bit crisp on all sides. 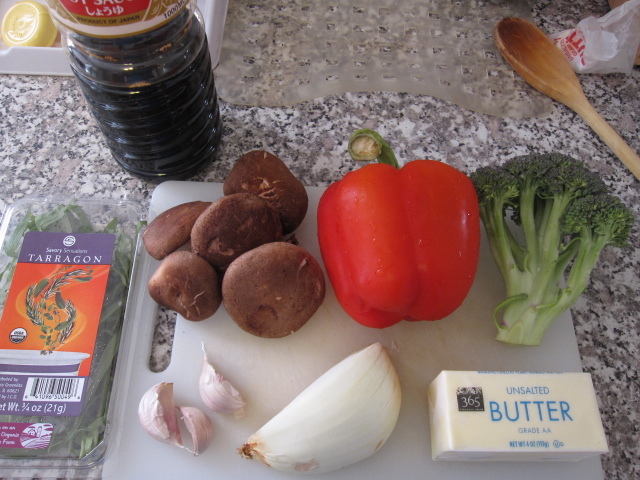 Then, I added the onion, bell pepper, and garlic. I let them sweat down for about 6 minutes. 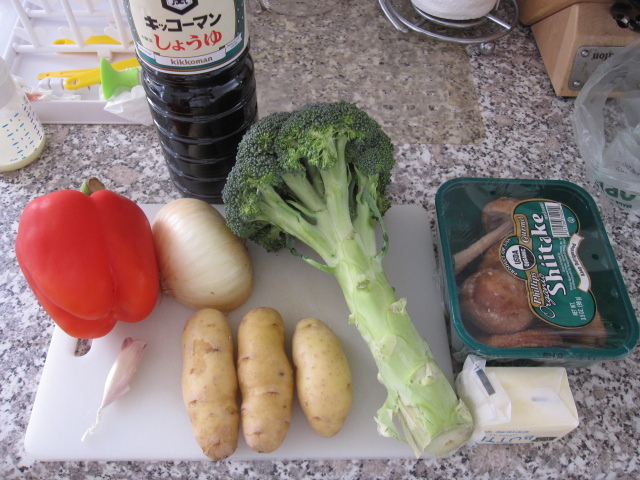 After that, I added the shiitake and broccoli and let everything cook for about 7 more minutes. 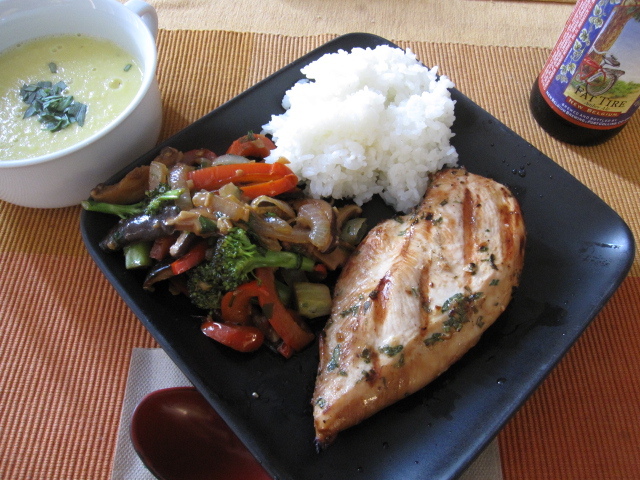 In came the soy sauce, then the lemon juice along with some cracked black pepper, and then I served it up. 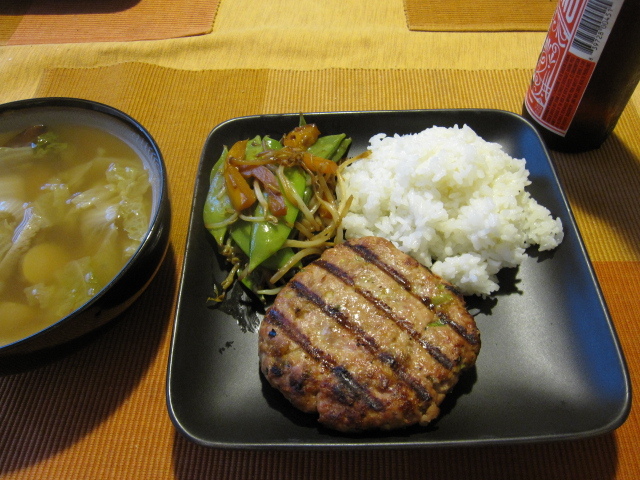 While the veggies were cooking I grilled up the pork. 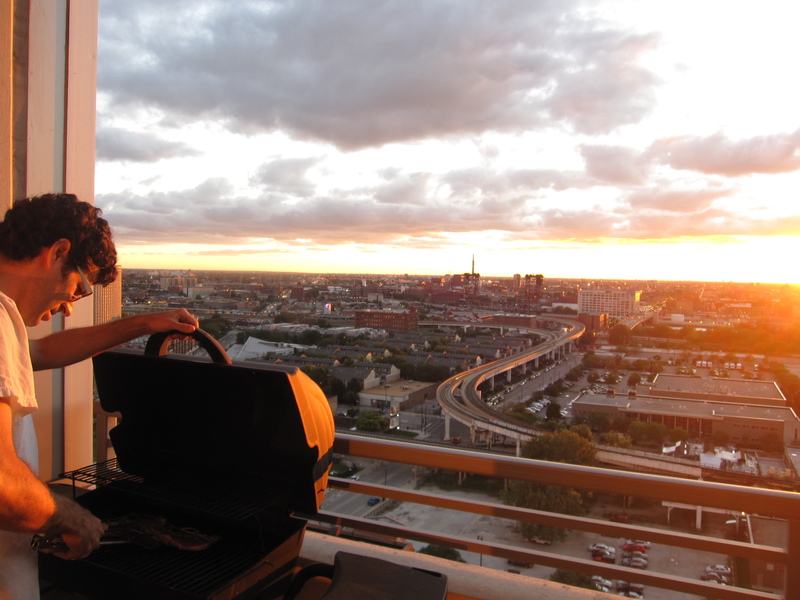 On my grill, each grill is different, tenderloin cooks best on the top rack with the heat at med-high. I can leave the pork for about 10 minutes each side leaving it just slightly pink in the middle, the way fresh tenderloin should be. I let it rest for 10 minutes and then sliced it up. Of course, white rice was on the side. Let’s be honest here…is there anything more fun that getting up at the crack of dawn, driving down to Mt Vernon with your younger bro, picking up a 16 foot truck, driving it to Carbondale, spending the weekend going through boxes and boxes of storage while trying to convince your step-father that he doesn’t really need all of those Oriental Rugs, driving the truck back to Chicago loaded up with furniture and dishes, and unloading everything into an empty garage? Obviously, this is a facetious question. 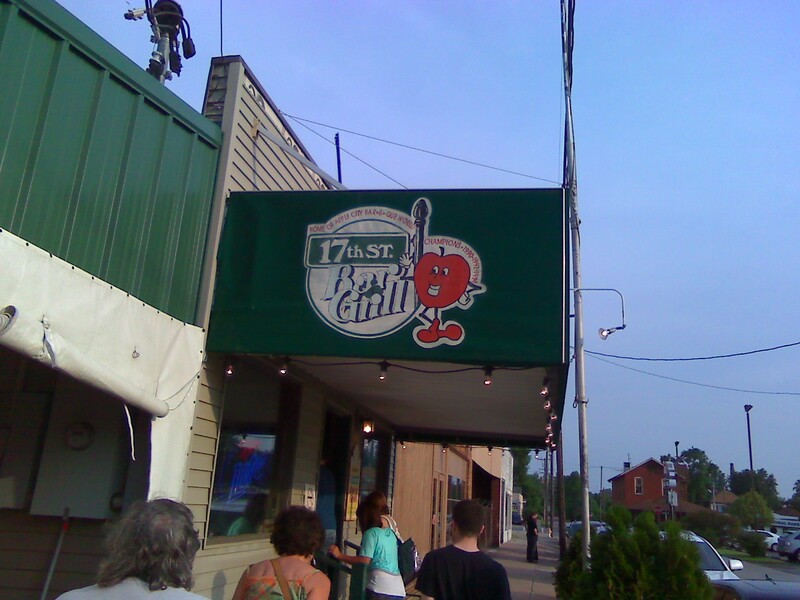 There is one saving grace to the whole journey though…17th Street Bar & Grill in Murphysboro! If you are a fan of slow smoked, meaty swine lollipops like myself then this is your Mecca! Ode to Mike Mills and his grandma’s BBQ recipes! Mike Mills has won numerous Memphis-in-May BBQ contests and is now a judge since no one seems able to beat his ribs. I blogged a while back about one of the outposts he opened up in Vegas, but this is the real deal. This is the place that happy dreams are made of. 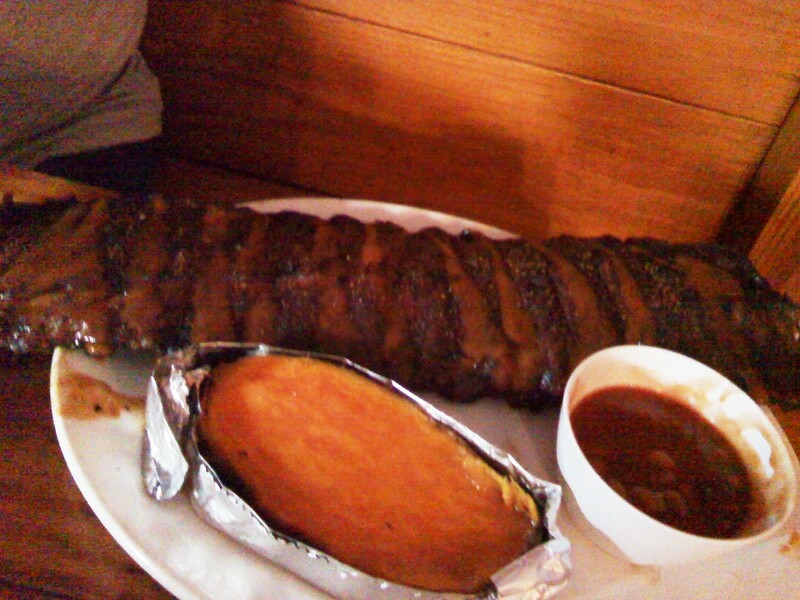 I’d walk on my hands and knees in 5 feet of snow all the way to 17th Street just to get a taste of these ribs! Since I’m not a huge man (except where it counts!) my mom and I split a full rack but got extra sides. 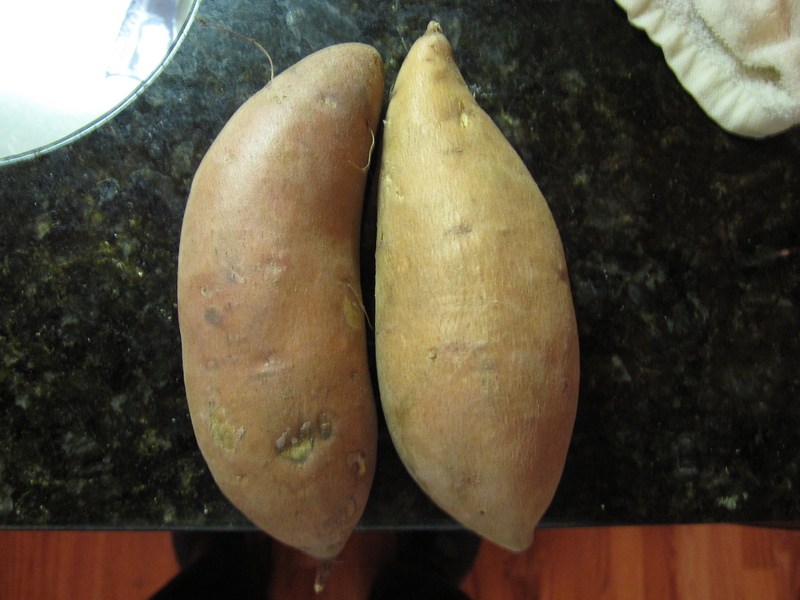 She loves their sweet potatoes baked with butter and cinnamon. Really, who wouldn’t? I love his BBQ baked beans. Again, who wouldn’t? 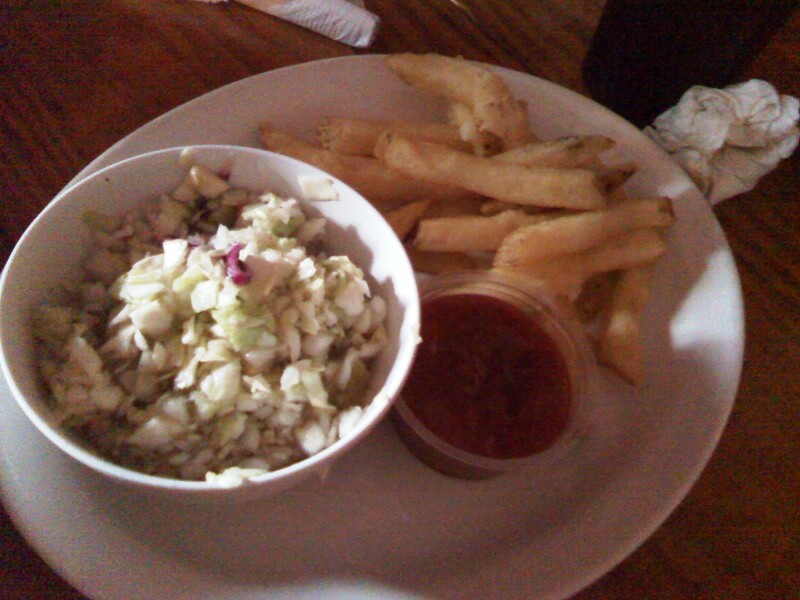 We also got some slaw to help push the meal through our entrails as well as some french fries to give me my carbs. Dr Atkins is an idiot! A meal without carbs is no meal at all. 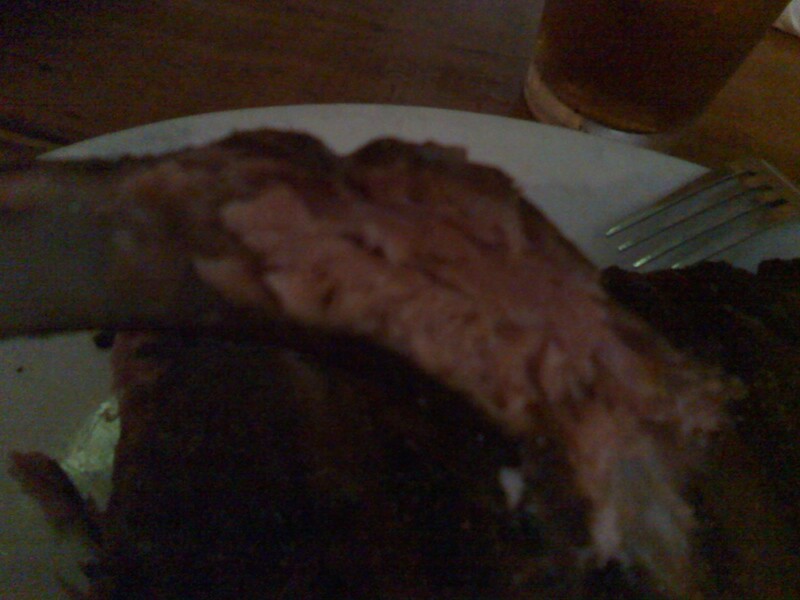 It’s hard to tell from my phone pic, but just look at how juicy, pink, and tender that meat-stick is! It’s things like this that makes me proud to be an atheist with no nonsensical dietary laws written 3,000 years ago to live my life by. We are but animals, why deprive us of life’s simple pleasures like being atop the food-chain with the ability to season, sauce, and smoke? Ah, the philosophy of ribs, truly a religion worthwhile! 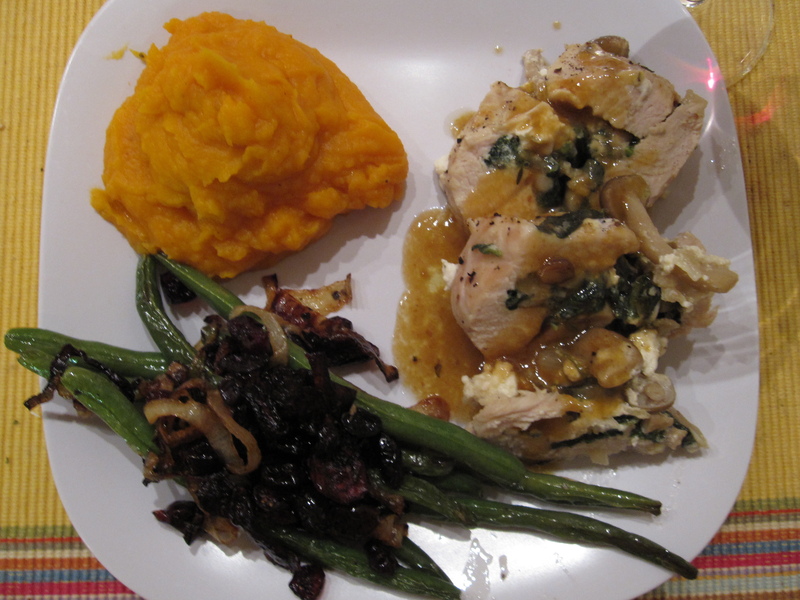 I had a bunch of tarragon left from my braised lamb shanks that I wanted to use up with some chicken. 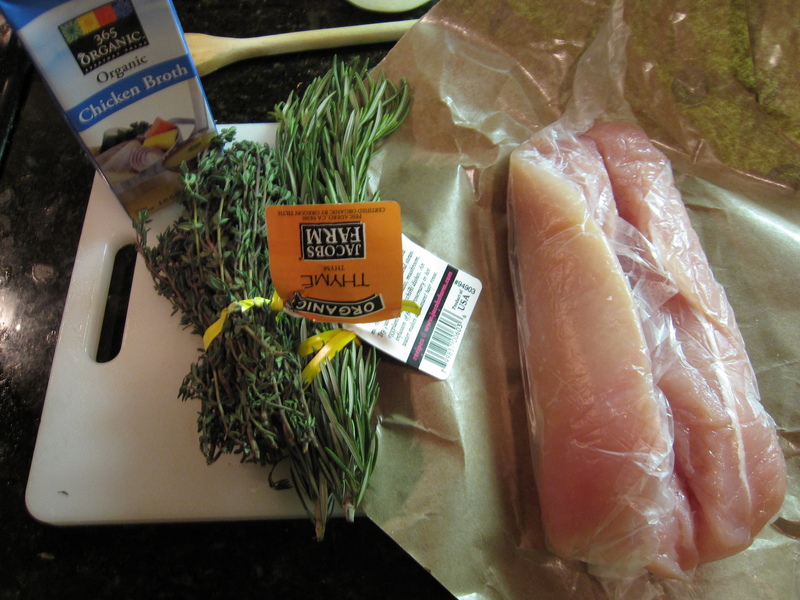 Most of the recipes I’ve seen with tarragon involve a cream sauce. That’s all well and good on a cold day, but what does that do for me on a hot, sweltering, humid day? 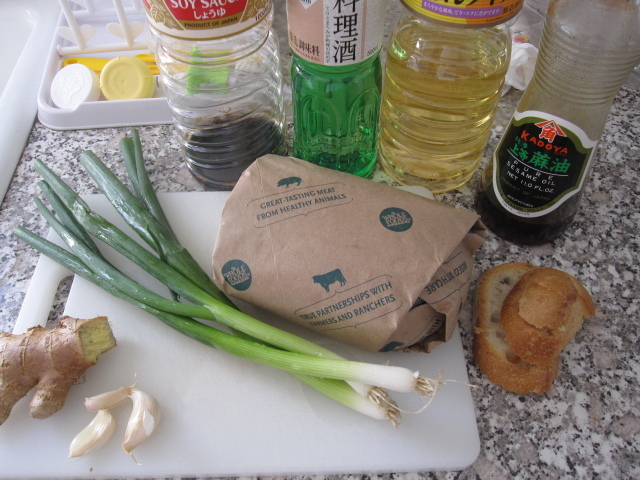 I thought it’d be best to toss it into a marinade and slap the meat on the grill. So, that’s what I did. First things first though, I made a very simple corn soup. 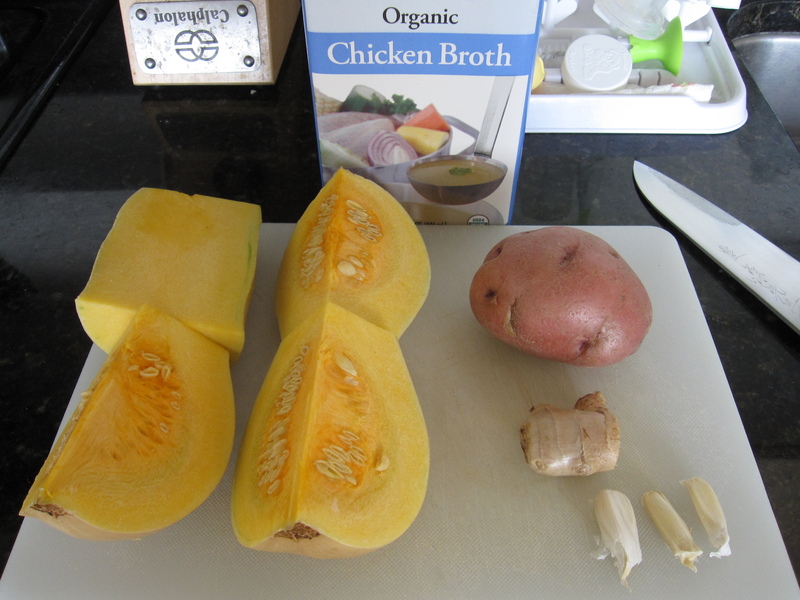 This soup is so simple I didn’t even use garlic! 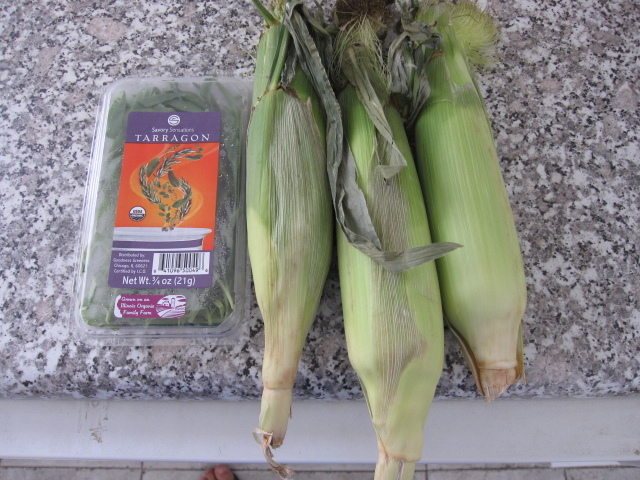 I simply stripped the kernels off of 3 ears and threw them, along with the naked ears, into a pot with 2 cups of water. 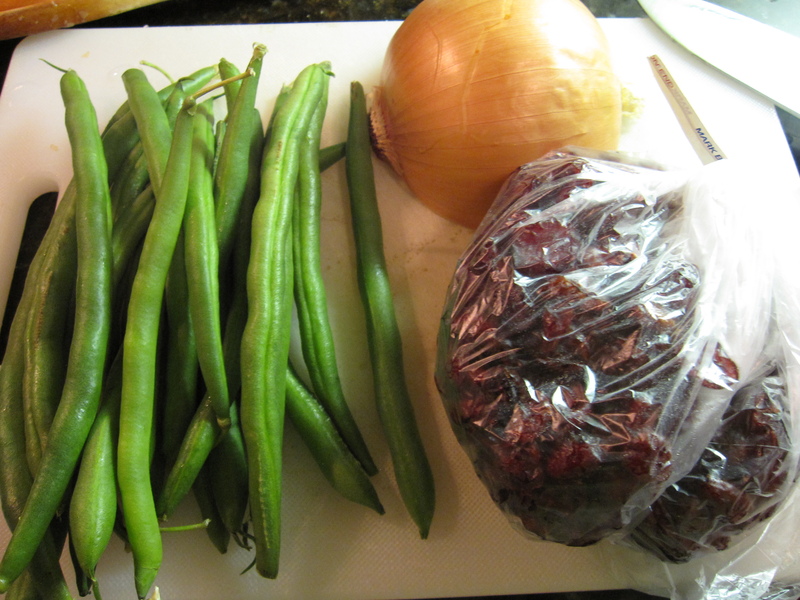 I brought it up to a boil, covered the pot, turned the heat down to med-low, and let it simmer for about 20 minutes. Then, I turned off the heat and let it come to room temperature. 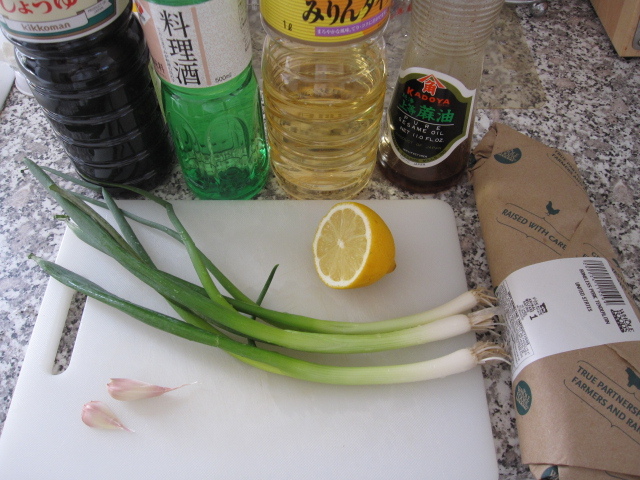 That gave me time to mix together the marinade and get the chicken ready. Jumping ahead, once the soup was cool, I tossed the naked ears and poured everything else into my blender and pureed it all up. 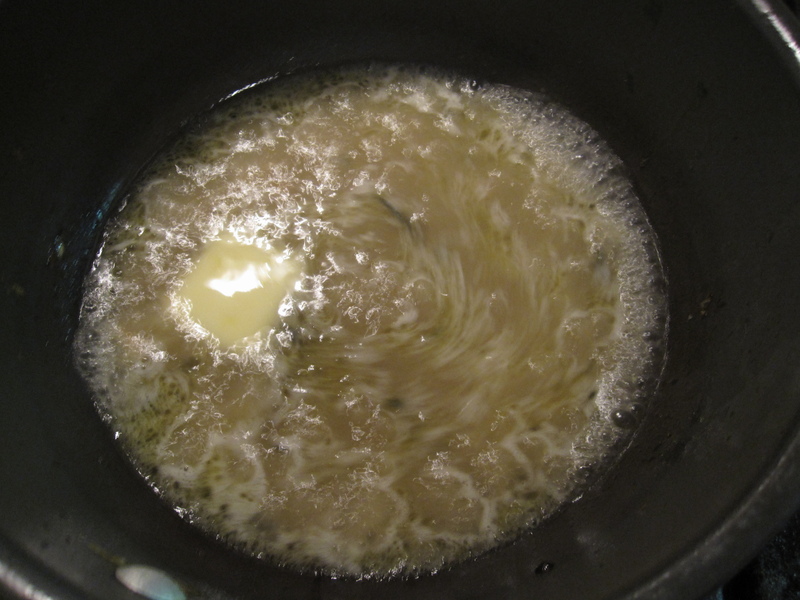 I poured it back into the pot and slowing brought it back up to a slow simmer. 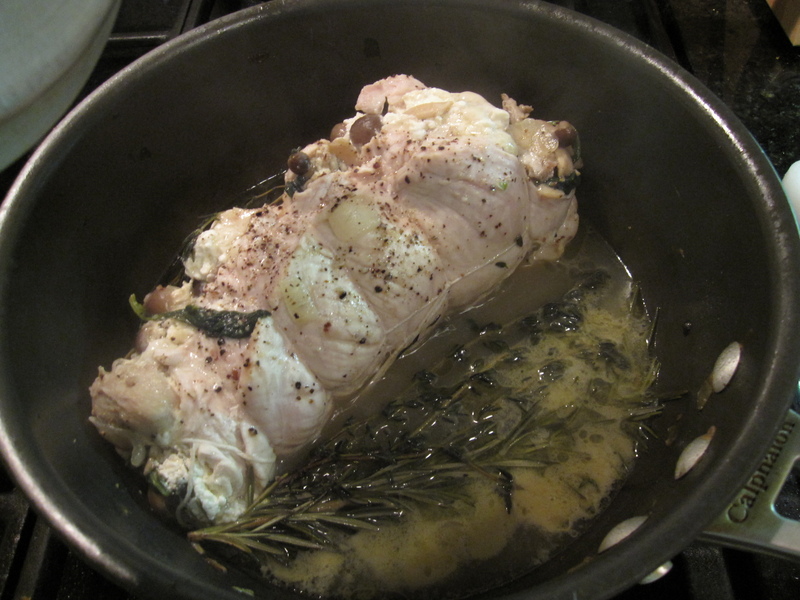 I seasoned it with salt and pepper and then garnished it with some chopped up tarragon. 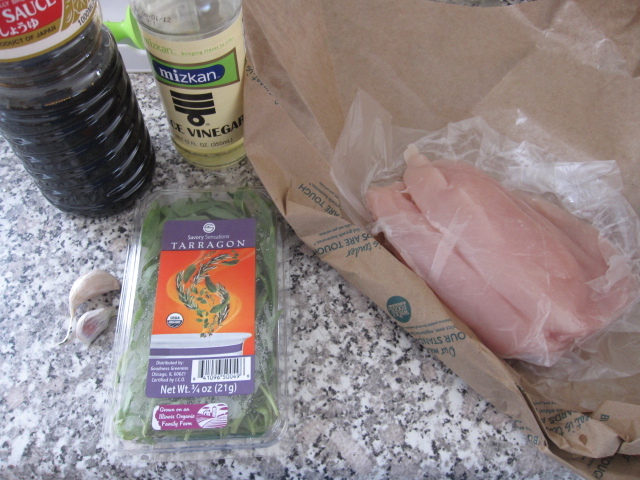 For the marinade I mixed together 3 tablespoons of soy sauce, 2 tablespoons of rice vinegar, 2 cloves of garlic minced, about 3 tablespoons of finely chopped tarragon, and 2 large chicken breasts that I separated the tender strip from the large piece (I did this for two reasons, the breasts were huge and I wanted some meat for lunch the next day). 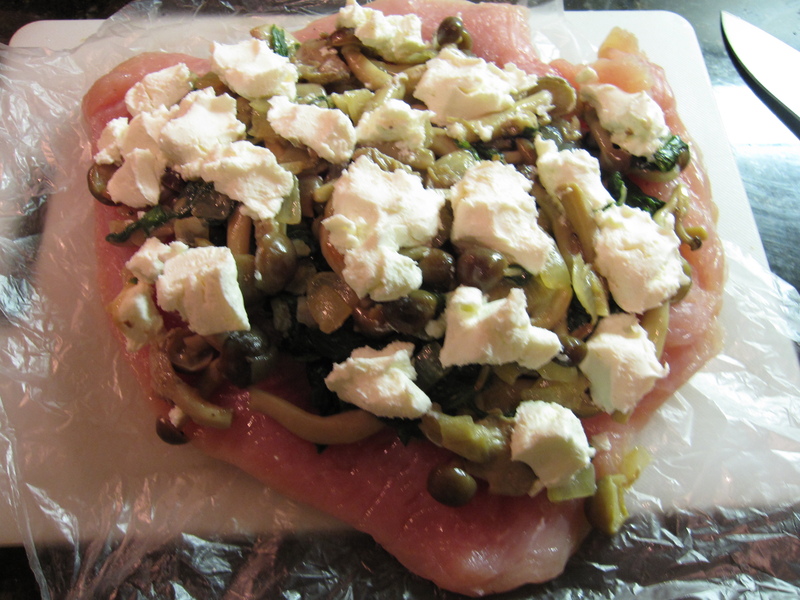 I covered it all with plastic and let it sit in the fridge for about an hour. I took it out and let it sit for about another hour while it came back to room temperature. 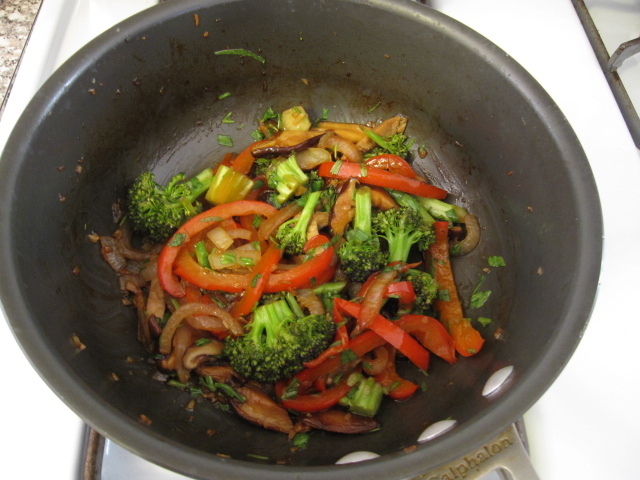 For my veggies I sautéed together 5 shiitake sliced, 1 red bell pepper cut into strips, 1 small head of broccoli cut into florets, 3 garlic cloves minced, and 1/4 onion sliced with 2 tablespoons of butter and about 2 tablespoons of soy sauce. I first melted the butter. 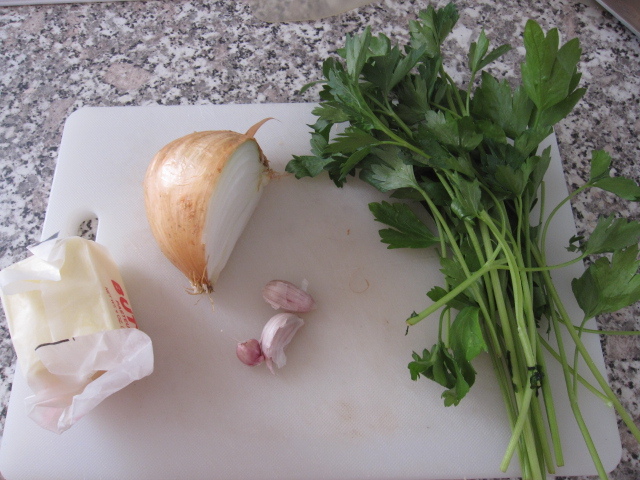 Then I let the garlic go for about 30 seconds before adding the onion and pepper. 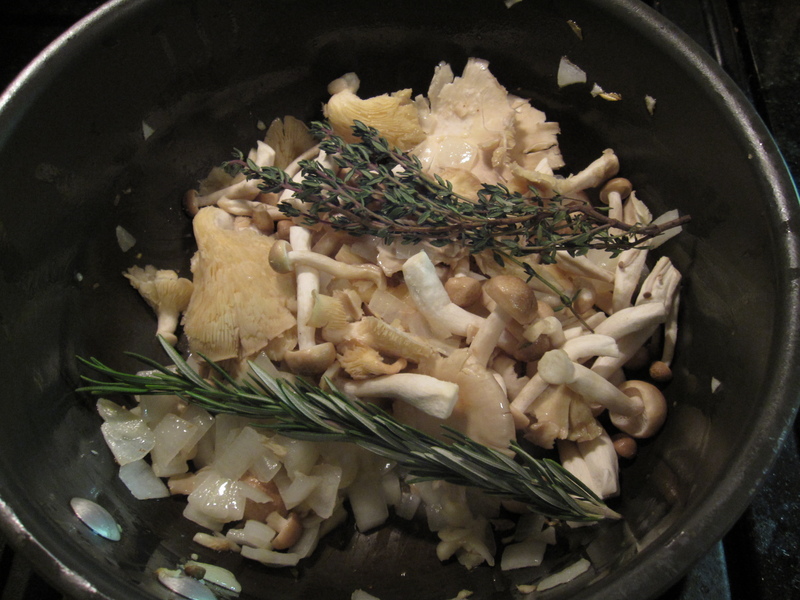 About 5 minutes later I added the shiitake. 5 more minutes and I threw in the broccoli. 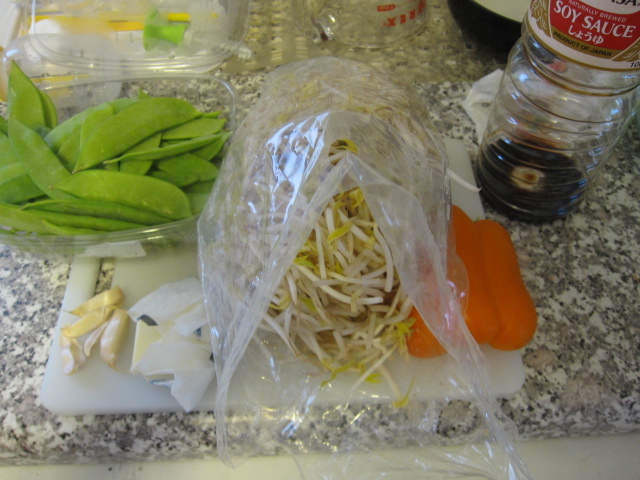 I let that all saute together for about 7 more minutes and then poured in the soy sauce. 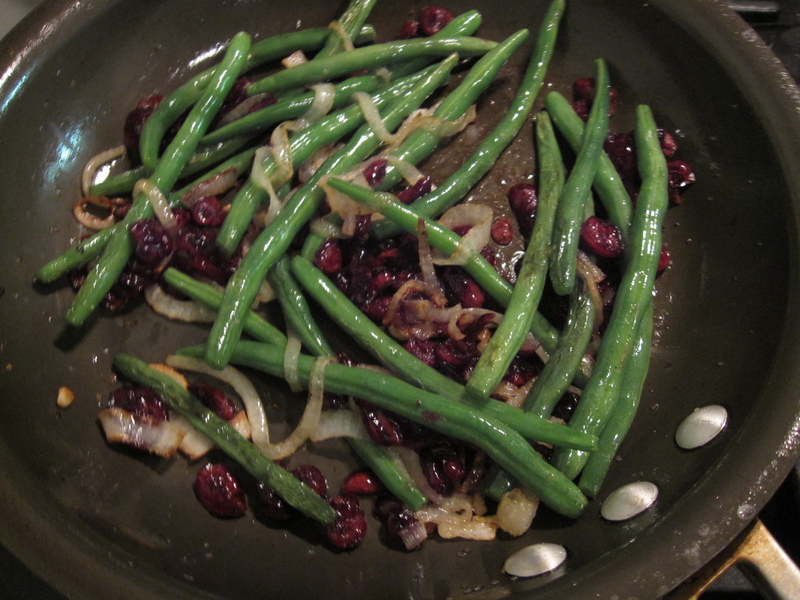 Once the soy had all but evaporated in went about 2 tablespoons of chopped tarragon. Grilling chicken like this is super easy. 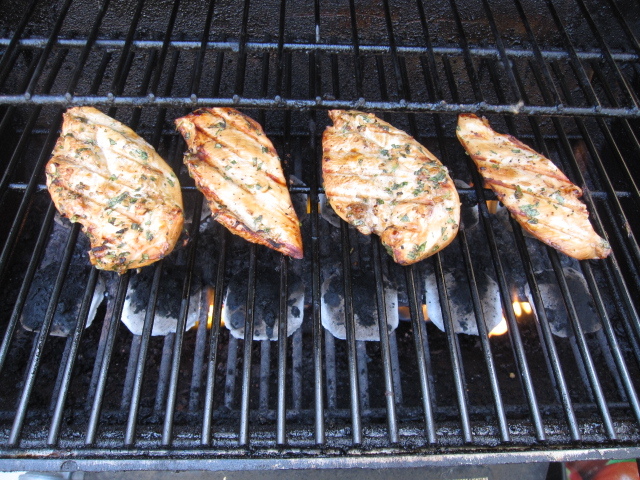 I heated the grill up to med-high heat and grilled the chicken for about 7 minutes on each side with the lid closed. That gives really nice grill marks and keeps the chicken nice and juicy. That’s about all she wrote for this dinner. 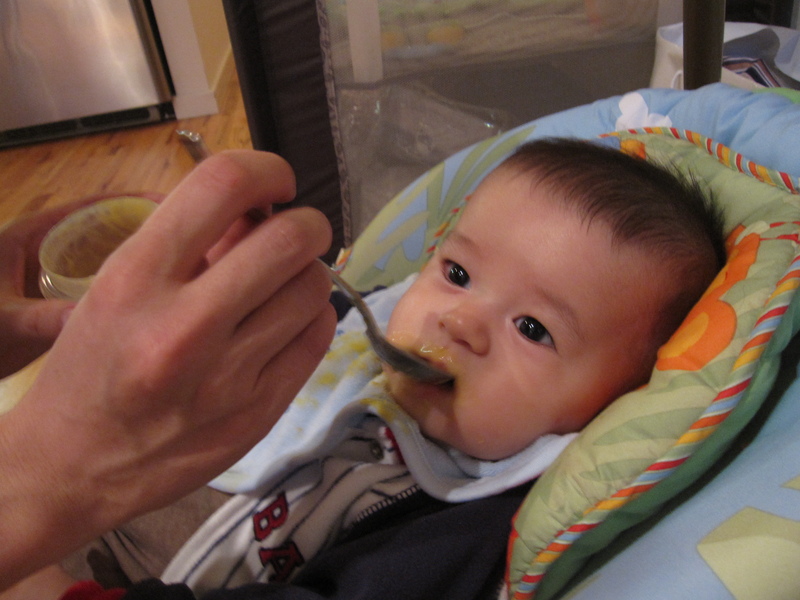 Oh, we had white rice for our starch. 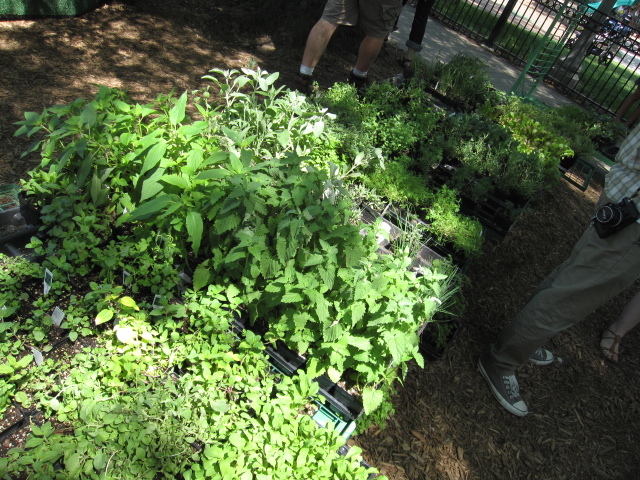 Farmer’s Market season officially kicked off this past weekend, and I couldn’t be happier. 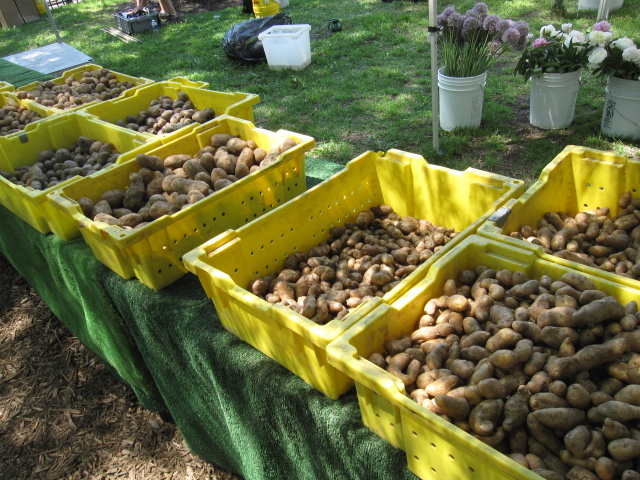 While it’ll still be some time before the best produce is available (peaches, carrots, etc. 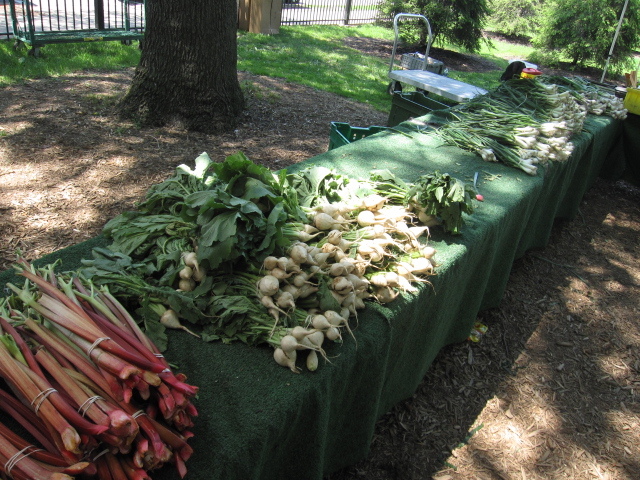 ), there are some great veggies ready for the taking. With Sunday not only being the first Wicker Park Farmer’s Market, but also being an absolutely beautiful day, Yuki and I took Otis out for his first taste of the fresh produce Michigan has to offer. 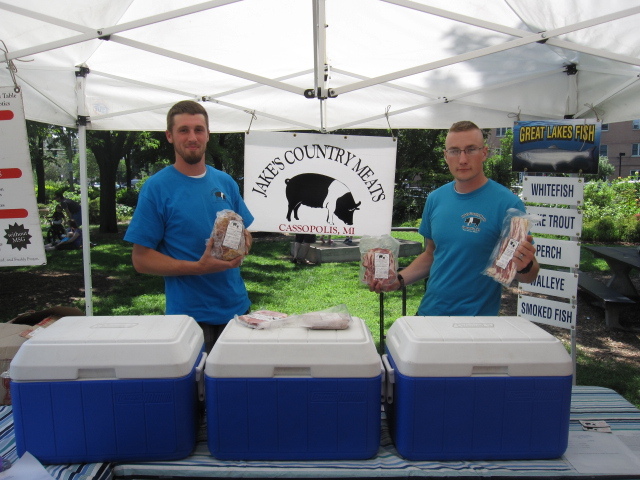 Jakes Country Meats was there some beautifully smoked pork products. 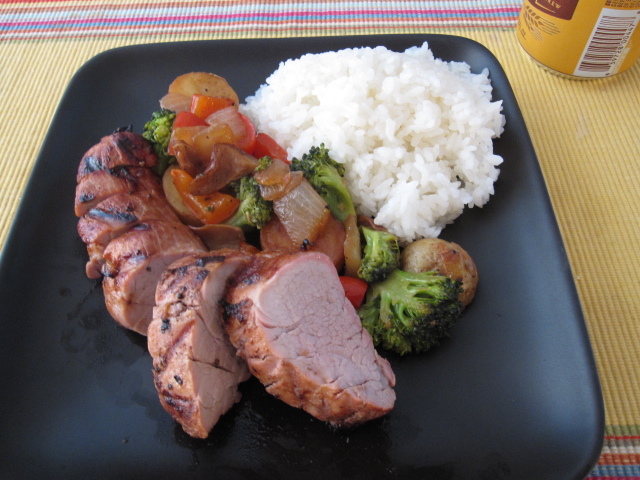 All of their pork is smoked with wood and vegetables like beets and celery that contain natural nitrates. They hit me up for a couple of smoked chops and a package of kielbasa as I am a lover of kielbasa. Haven’t had the kielbasa yet, but I salivate every time I open up my freezer and see them sitting there just waiting to be thawed and thrown on my grill! 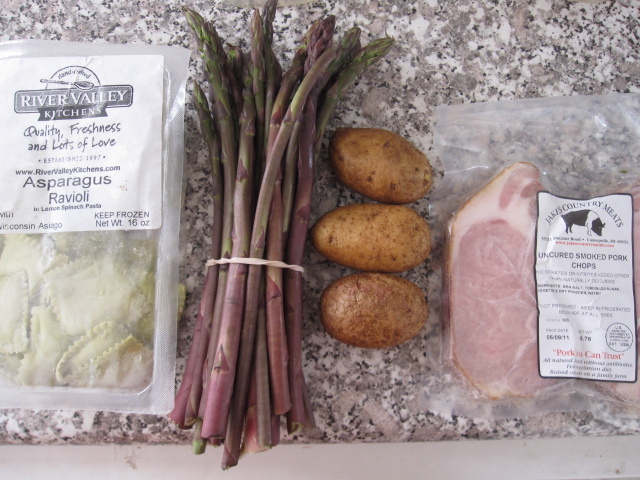 I also picked up some River Valley Kitchens asparagus ravioli, some beautiful purple asparagus, and a few butterball potatoes. 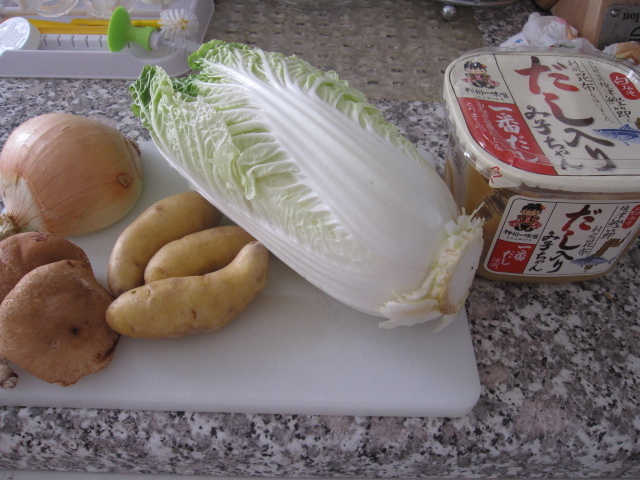 Along with the smoked chops these ingredients were to become dinner. 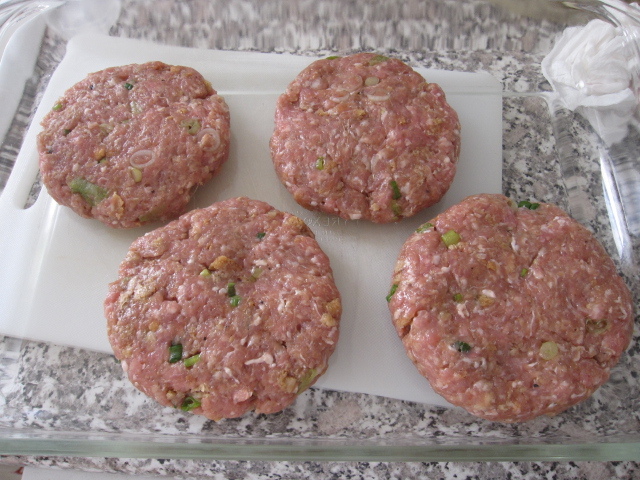 I also used 2 tablespoons of butter, 1/4 onion diced, 3 garlic cloves minced, and a handful of parsley chopped. 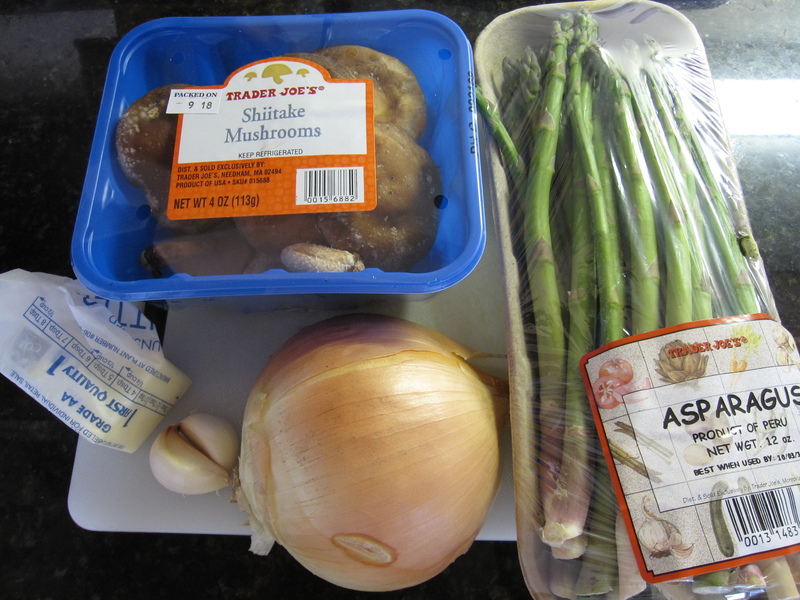 In my large skillet I melted the butter and then sautéed the garlic, onion, and asparagus for about 6 minutes. 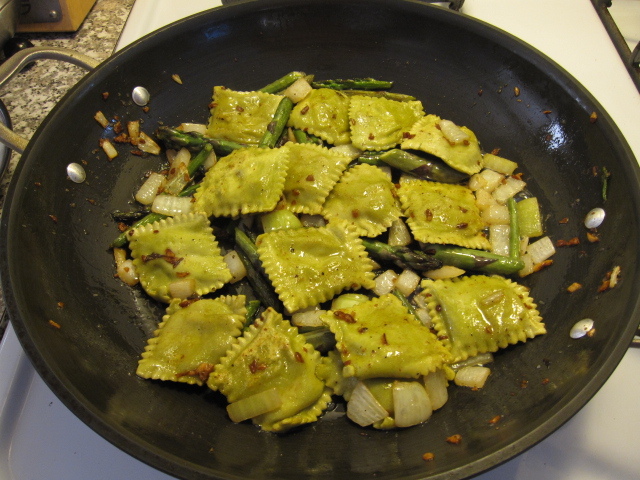 I added the ravioli (since they were not frozen I did not boil them) and let the fry in the butter for about 5 minutes or so on each side. 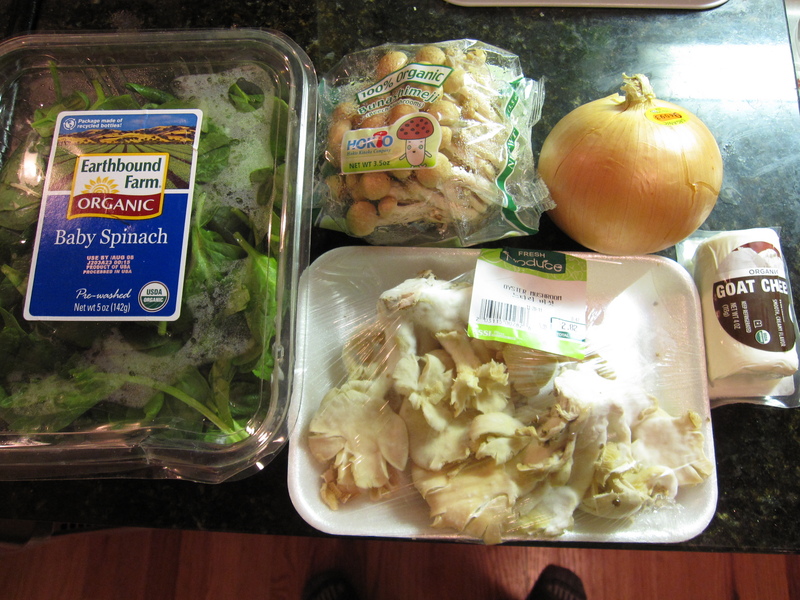 Then I tossed in most of the parsley and seasoned with some salt and pepper. I set it aside until my grill was done. 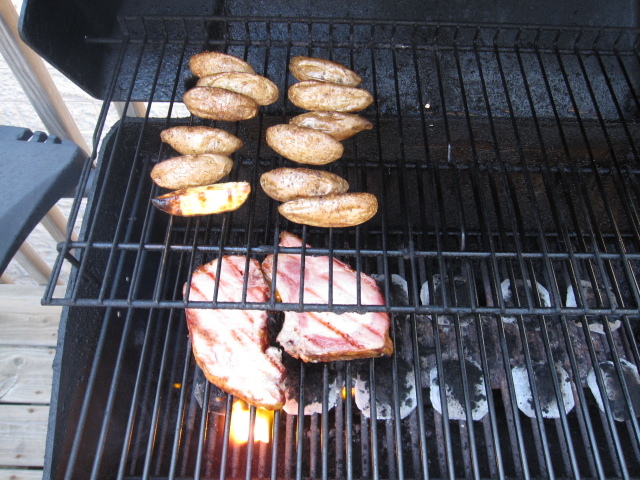 For the grill I cut the potatoes into wedges and drizzled them with olive oil, salt, and pepper. I grilled them on the top rack for about 8 minutes on each side. Since the chops were smoked they just needed to be heated, some nice grill marks were also in order. So, I just let them cook for about 3 minutes on each side. 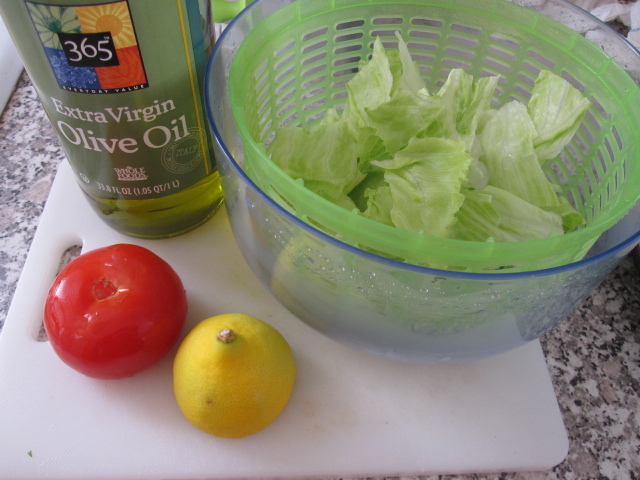 On the side I made a very simple salad with iceberg lettuce, tomato wedges, and a lemon vinaigrette I made with the juice from 1/2 lemon, twice as much olive oil as lemon juice, salt, and pepper (emulsified into a smooth texture). 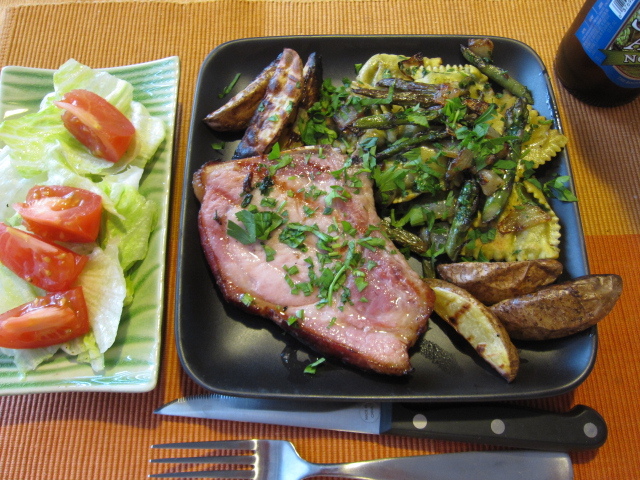 I will say this, the chops, while very delicious, were more like breakfast ham than dinner meat. They were a tad salty for the way I prepared them. If I were to buy them again, which I would in a heartbeat, I would serve them with a vegetable hash and a nice runny poached egg on top. Otherwise everything was fantastic.